Nicolaus of Damascus, the chief minister of Herod the Great, was an exact contemporary of the first Roman emperor Augustus; he spent considerable time in Roman society and knew Augustus. The extensive remains of his Bios Kaisaros contain the earliest and most detailed account of the conspiracy against Julius Caesar and his assassination. 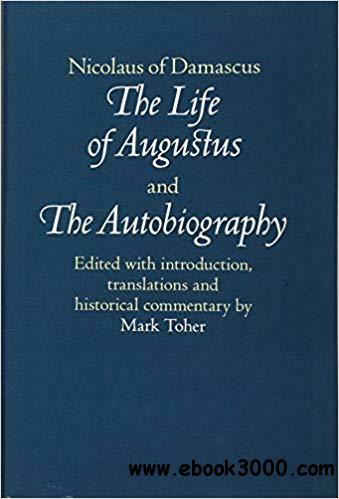 The Bios also presents the most extensive account of the boyhood and early development of Augustus. This edition presents the Greek text and translation of the Bios and Nicolaus' autobiography, along with a historical and historiographical commentary. The Introduction situates the text in relation to the considerable evidence for the life and career of Nicolaus preserved in the works of Josephus, addresses the problem of its date of composition, analyses the language and narrative technique of Nicolaus and discusses the Bios in relation to the evidence for Greek biographical encomium.